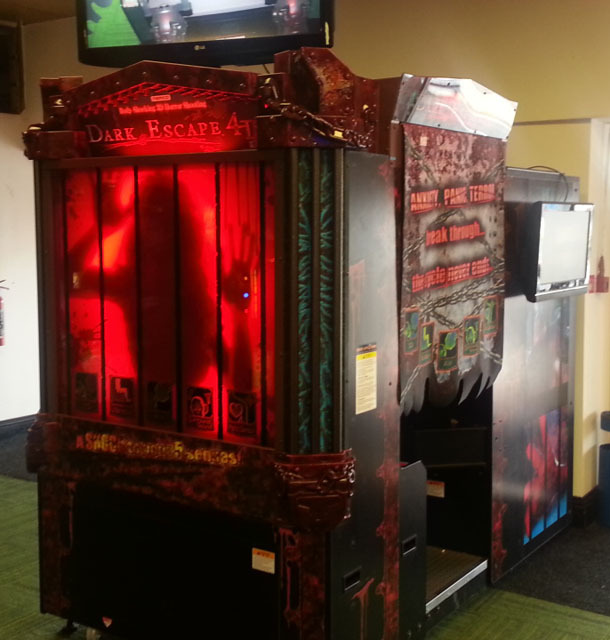 Dark Escape 4D in Chicago! 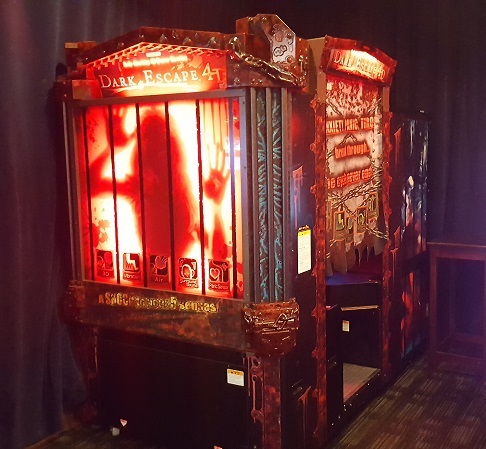 I was recently visiting Chicago for the 4th of July fireworks and lo-and-behold I came across another Dark Escape 4D arcade cabinet! You can find this delightfully hard as balls competitive/cooperative biofeedback gun game at Dave and Busters on N Clark Street. For a biofeedback game this model sure gets about, I’ve played it now in three countries: Blackpool (UK), Juan Les Pins (France) and Chicago (US). You can view my let’s play of the game on the old research blog here.